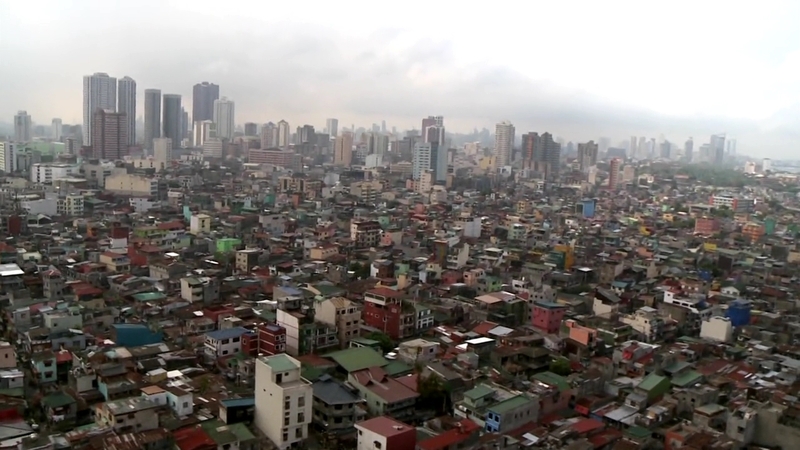 Recap: The Amazing Race 25, Episode 10 – "It really felt like we were from the Philippines." It’s time to start the 10th Leg of the Race and teams will fly to Manila, Philippines. Once they’ve arrived, they can receive their clue from a flower vendor in front of Baclaran Church. Adam & Bethany get to the travel agent and find a flight on Singapore Airlines departing at 7:25pm arriving at 11pm. Brooke & Robbie get on the same flight via a travel agency. Misti & Jim go directly to the airport and make sure not to follow another team like they did the last Leg. Amy & Maya also go directly to the airport, but use the cab driver’s phone to find flights on the way. They are pointed to the same Singapore Airlines flight. Misti & Jim check with a travel agent at the airport and can only get tickets on a Philippine Airlines flight arriving at 11:55pm as the Singapore Airlines flight is fully booked. Meanwhile, at the ticket counter, Brooke & Robbie catch up to Amy & Maya. The Wrestlers pretend they have no idea why Amy & Maya did not check Mount Faber for the clue. And Amy & Maya still don’t believe Brooke & Robbie intentionally lied. The first flight arrives at Manila International and Brooke & Robbie are out first. Adam & Bethany make chit-chat with their driver. Amy & Maya wonder why there are so many people out on the streets at 11pm on a Thursday. They arrive at Baclaran, but see HOURS OF OPERATION. 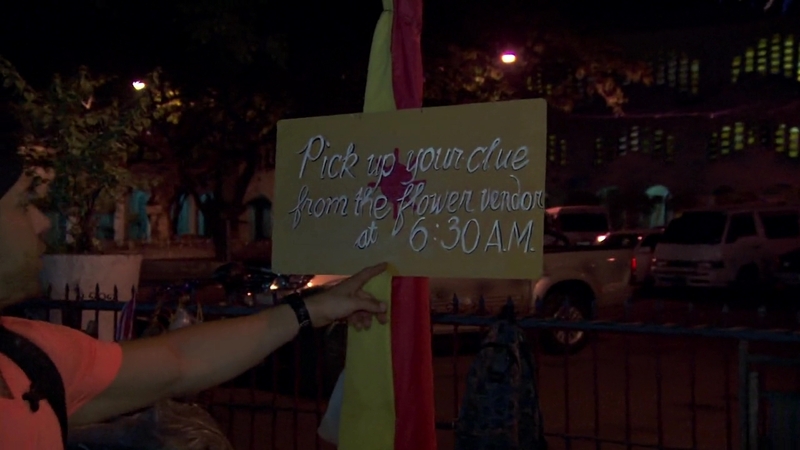 They’ll be given the next clue by the flower vendor at 6:30am. And that clue tells teams to hop onto a jeepney to Rosario Municipal Plaza where they will receive their next clue at Salinas Specials. Maya is absolutely loving the Philippines. She loves the hustle and bustle and being immersed in the culture. She even enjoys the passing of jeepney fare like she lives here. 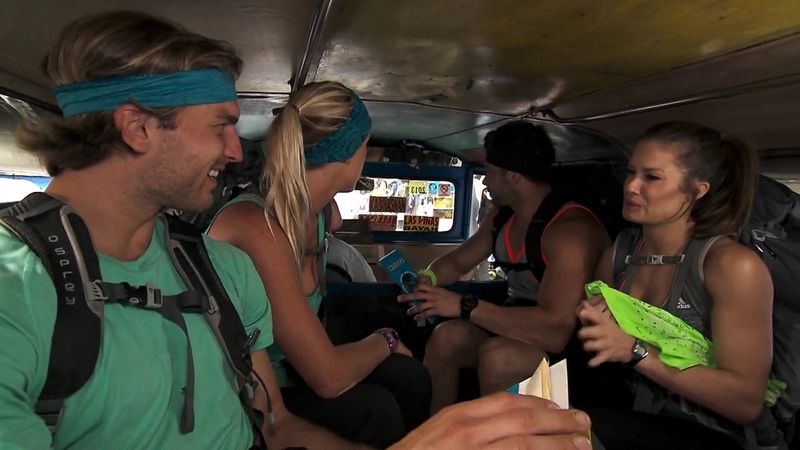 Adam & Bethany and Brooke & Robbie are in the same jeepney which they think is a limo stripped of everything good. They all comment on the horrible smells around them, especially Brooke. Misti & Jim notice the Philippines is definitely different from Singapore. 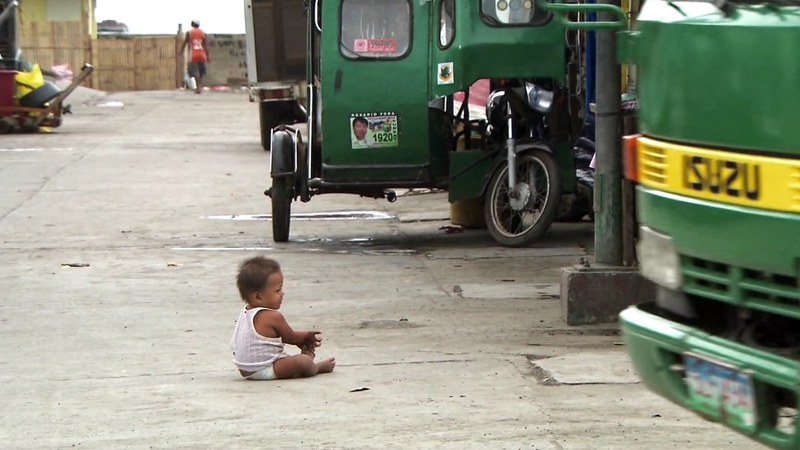 But they become very emotional when they see barely clothed kids sitting in middle of the street. They are reminded of their own children and they say this is very humbling. The teams are dropped off in Rosario and find Salinas Specials where the owner hands them the clue. In Coach, teams head to RGC Side Car and Welding Shop to assemble a sidecar and attach it to a motorcycle. Once the mechanic approves, they’ll receive the next clue. Misti & Jim, Adam & Bethany and Amy & Maya choose Coach while Brooke & Robbie choose Catch. To get to either Detour, teams must travel by tricycle. Amy & Maya ask for directions and the locals point, so they walk. The other teams wonder why Amy & Maya are not in a tricycle. Amy & Maya have to go back when they realize their mistake. Brooke is disgusted as soon as they arrive at the fish port. They must walk along a rope in the water and meet the fishermen by the flagged banca, or boat, to collect fish into their bucket. The locals cheer them on, but Brooke is still grossed out by the smells around her. Meanwhile, the other teams arrive at the welding shop and get started. Brooke & Robbie must transfer the fish from their bucket to the bucket at the stall using their hands. Robbie is grossed out and can’t even touch them while Brooke tells him to hurry up as she gets cut and bones in her hands by scooping them quickly. Back at the tricycles, Misti & Jim are making good progress while Maya hopes her one experience building a science contraption can help her here. Adam & Bethany say they chose this Detour because the fishing one meant they had to get in the water. Misti & Jim ask for a check, but they get the thumbs down for installing one of the shocks wrong. Maya thinks they’ve picked a blessed tricycle. She blows a kiss to the rosary beads hanging off the handlebar. Misti & Jim go again, but it’s still no good. A big storm is arriving and Brook & Robbie’s adrenaline grows with the waves of Manila Bay. Brooke & Robbie finish and they get the next clue pointing them to the rice fields in Naic. At the tricycles, Adam & Bethany ask for a judge and they are approved. Misti & Jim still don’t know what’s wrong until Jim sees it’s not a small detail they’re missing, it’s a big one. 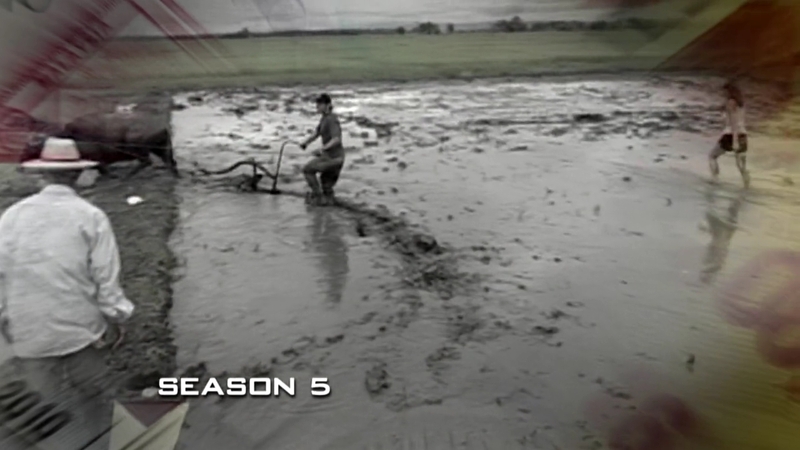 Brooke & Robbie arrive at the rice fields where Phil is waiting to introduce the Switchback to one of the most iconic moments in Amazing Race history. 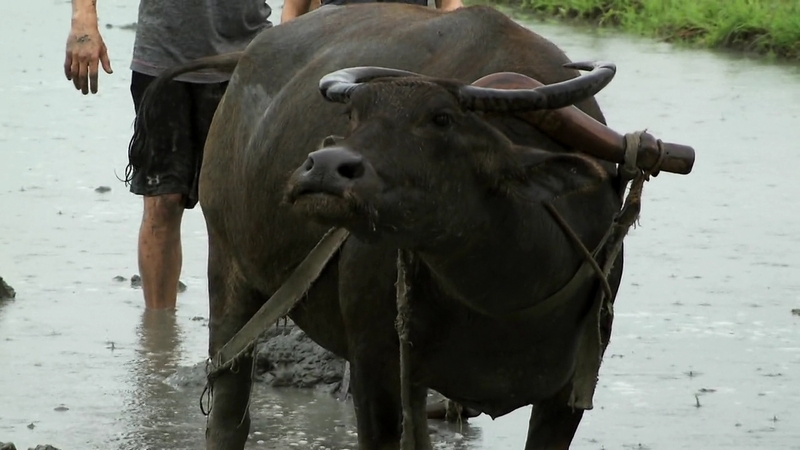 After a very short of clip of Colin, Phil explains that teams must choose one of four rice fields and use a trusty water ox aka carabao to unearth their next clue. Brooke loves animals and she’s handled plows on her family farm as a kid, so she has no problem just jumping in the mud. But first, their carabao must poop. Misti & Jim finally finish the Detour and are off as Adam & Bethany arrive. Brooke & Robbie realize they chose the biggest field of the four different sized ones without even thinking. Misti & Jim and Amy & Maya arrive and now all four teams are at the rice fields. Brooke & Robbie can’t believe it after arriving here first. And it gets worse for them when Misti & Jim and Amy & Maya find the clues almost instantly. Rice is the #1 agricultural product in the Philippines. 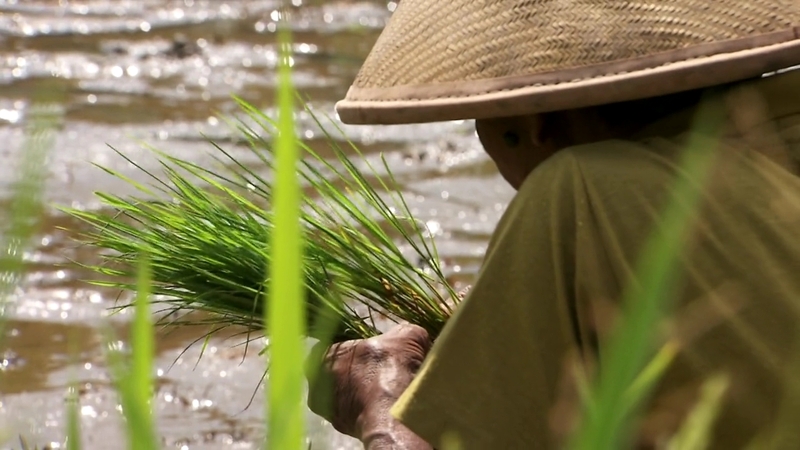 This rice farm is the Pit Stop for this Leg of the Race. It’s a foot race between Misti & Jim and Amy & Maya to the nearby Mat, but it is Misti & Jim who arrive first. 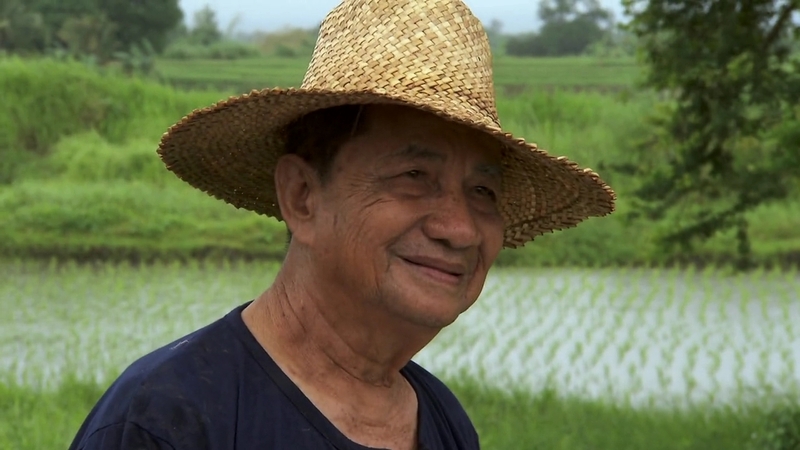 The farmer welcomes them to the Philippines. Maya says they love it, it is beautiful. Misti & Jim win a trip to Vietnam. But wait! The other two teams are right behind them! It’s another foot race between Brooke & Robbie and Adam & Bethany. And Adam & Bethany get to the Mat 3rd. That leaves Brooke & Robbie in last, but this is a Non-Elimination Leg. Woohoo. 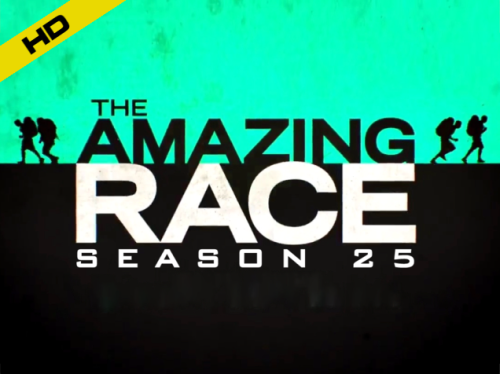 The Amazing Race US finally made its long-awaited return to the Philippines. It was a solid episode and Leg. But first, that finish though. It appears the teams all found the clues within minutes of each other at the rice field since Phil points to Adam & Bethany and Brooke & Robbie running in right after he officially checks-in Misti & Jim and Amy & Maya. And it was obvious Phil tells them about the Vietnam trip after all teams are there. I wonder why they didn’t just edit it as a four-way footrace instead. It would’ve been much more exciting of course and it’s been a while since we’ve seen one of those, especially after such a hard task. On the other side of the episode, the airport/plane drama was pointless considering there was an Hours of Operation in Manila and they just randomly have Misti & Jim pop in. They could’ve used those 5-6 minutes for something else. Maybe a little more carabao or riding in jeepneys and tricycles. Or showing them seeing the rush hour-like traffic at 11pm. Or seeing them run around Baclaran or walk around after finding the Hours of Operation. Speaking of, why no mention of Baclaran Church (which is definitely a point of interest on its own) as the location of the Route Marker other than by Brooke to the taxi driver. That was really odd editing and makes all that airport/plane drama even more pointless. The Detour was pretty good. Assembling the tricycle is nothing new for TAR and it could very well have been a nod to the jeepney assembling in TAR5 as well. The fish side of the Detour was great. Did you see those drone shots over Manila Bay at the fish port thoug? And over that Rosario neighborhood? And especially over the rice field? So amazing. I love drones. It was interesting and awesome to see them instructed to take any ol’ public jeepney and tricycle instead of providing them one. And of course, that meant no taxis as well, which is a nice, extra little challenge for the teams. When previously tricycles and tuk-tuks had to be flagged and assigned to teams, now they can just attach a little GoPro or something similar inside of any tricycle they might end up using. And finally, the big My Ox is Broken Switchback. I think it continues the tradition of Switchbacks never coming close to matching the original task or moment. And that shouldn’t be the expectation since they were classic moments because of many different pieces. But even with this task, it should’ve provided a lot more fun and hilarity than it did. But I guess the carabaos they had here were all very nice and friendly and had no problem getting to work. TARPH2’s My Ox is Broken task earlier this season was actually much more fun. They had more teams of course, but here on TAR25, no one even fell on their butts! It was great to see, but I wish it had been a little more crazy and fun. Overall, a solid Leg and episode. Great to the Philippines on a non-TARPH TAR. But I hope the 2nd Leg delivers even more. Misti & Jim are definitely not as horrible as they started out being. They’ve been Racing well and I honestly would be meh on them winning instead of annoyed or upset. Jim can still be too overconfident, but they’re fine and definitely not the worst. Adam & Bethany though are just really flat. I wish we saw more out of them than what we have seen. And Brooke & Robbie just need to settle down. I think you can tell when Brooke & Robbie are “turning it on.” Meaning, it’s pretty obvious when they’re playing to the cameras and not. Like when Brooke had more problems with smells than she did walking through mud and poop and watching an animal poop in front of her. Or her just digging in and getting the task done. Like at the Detour, she had the shtick turned off and was focused on the task while Robbie had it turned way on. I definitely love the Brooke who doesn’t mind sticking her hands into a bucket of fish or taking the reins of an ox to plow a field. I just wish Brooke & Robbie didn’t try so hard to play up to the camera. And it’s definitely not fun to hear someone complaining about how all these people’s homes and storefronts smell like crap, but at the same time, TAR played it up a little too much themselves as well. 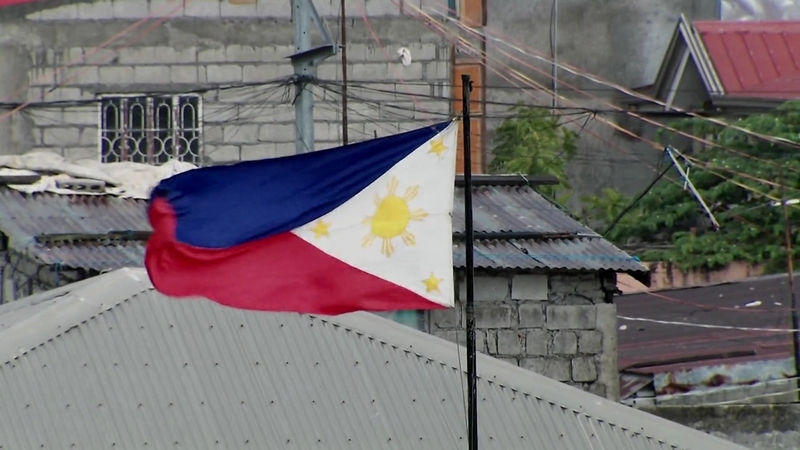 ← Recap: The Amazing Race Philippines 2, Episode 53 (Leg 9, Day 5) – "Everything happens for a reason." It’s great to have TARUS back in the Philippines after 10 years since TAR 5. One coincident thing though, the final four of TAR 5 and this season is very similar with 3 M/F teams and one all-female team. I really hope Amy and Maya don’t suffer a Linda & Karen fate. Ooo! My fave team of the final 4 in TAR5 was Linda & Karen. I also hope Amy & Maya do not suffer the same fate.